My name is Bridget McKay. 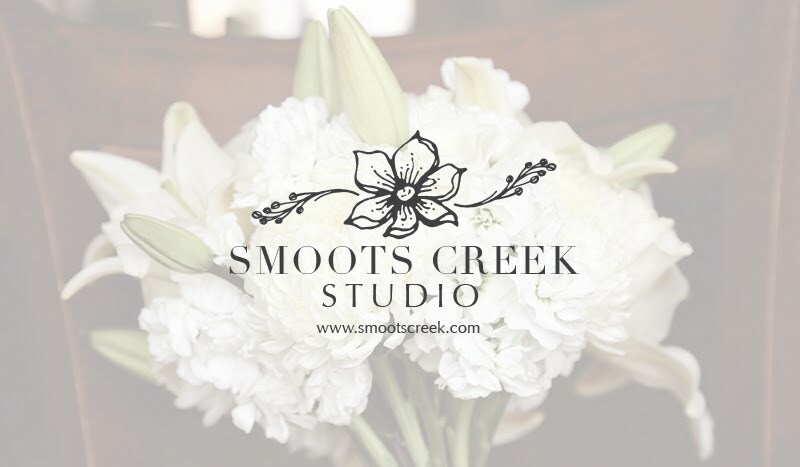 I am owner and head designer of Smoots Creek Studio. Previously named Sweet B. Revival Event Florals, my business and focus has changed and evolved since going solo in 2012. I established the original business while my husband was stationed at Tinker Air Force Base, Oklahoma. Over the years I have had the pleasure of working for and with other professional designers on site and in their flower shops. Truly, I have enjoyed each and every wedding, event, and experience I have designed. It has been a labor of love, and an honor serving these wonderful families and organizations. After changing locations, taking a break from flowers, then moving to the country; I have gleaned a great deal of knowledge about business and work/life balance. It's not easy, but we embrace the hard, to embrace the benefits of what the experience brings to our family. I know my children will later tell stories of growing up with love, laughter, some crunch time freak-outs, and flower stem cuttings randomly found under various furniture or mail. Now, with the opportunity to live and work in a century old farmhouse on property backed by the tranquil Smoots Creek; we have nested near the small town of Cheney, Kansas. It is my dream that one day, with God's help and wisdom this business will grow prosperous. I envision employing creative people; help sponsor and foster homeless dogs through Kingman County Humane Society; and serve our surrounding Kansas communities. This is an adventure we would like to share with all of you. So, you may have found our site looking for floral design, but I hope you follow along with us on social media for the fun of it! Would you like to know more about flowers for your wedding or event? I would love to help! Email me for a complimentary consultation and proposal.